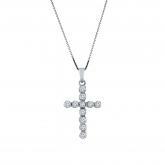 This lovely diamond cross pendant features 3/8 ct. tw. 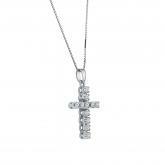 round-cut diamonds in prong setting. 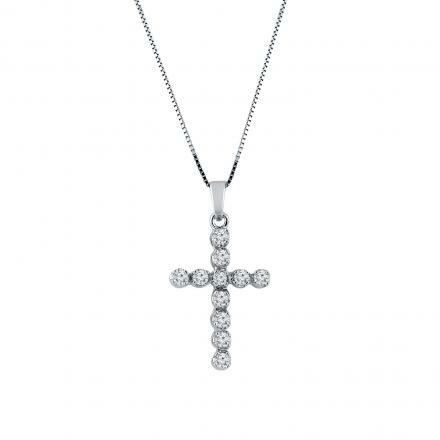 This pendant is crafted in 14k white gold and available with a matching 18-inch box chain that secures with a spring-ring clasp. 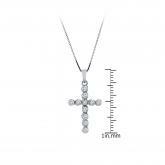 Total Carat Weight: 0.38 ct. tw.